This section of my blog is no longer being updated. We have moved to www.4therecord.org/ron-paul. 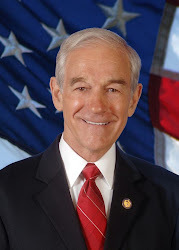 Rep. Ron Paul (R-Texas) is taking a stand as one of Julian Assange’s few defenders in Washington, arguing that the WikiLeaks founder should get the same protections as the media. Attorney General Eric Holder said this week that the Justice Department is examining whether Assange can be charged with a crime for posting hundreds of thousands of leaked government intelligence documents and diplomatic cables. Many Republicans have gone even further in their attacks on Assange, especially former Arkansas GOP Gov. Mike Huckabee, who said this week that the source who leaked to the WikiLeaks founder should be tried for treason and executed if found guilty. But in a Thursday interview with Fox Business, Paul said the idea of prosecuting Assange crosses the line. “In a free society we're supposed to know the truth,” Paul said. “In a society where truth becomes treason, then we're in big trouble. And now, people who are revealing the truth are getting into trouble for it.” “This whole notion that Assange, who's an Australian, that we want to prosecute him for treason. I mean, aren't they jumping to a wild conclusion?” he added. “This is media, isn't it? I mean, why don't we prosecute The New York Times or anybody that releases this?” Paul followed up with a post to his Twitter account Friday morning: "Re: WikiLeaks — In a free society, we are supposed to know the truth. In a society where truth becomes treason, we are in big trouble." Stop Bailing Out Foreign Governments!